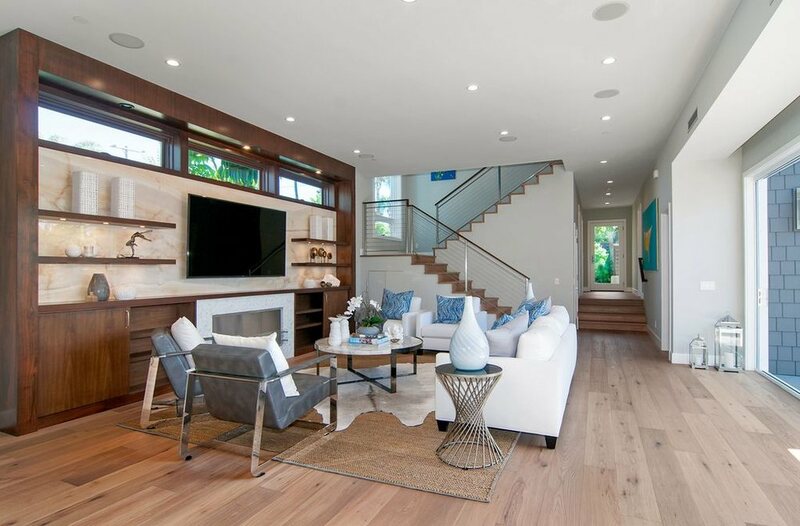 This was a recent hardwood Flooring project in Rancho Santa Fe. The client had some water damage to his hardwood flooring in the kitchen along with some buckling in the hallways so we completely refinished all the main wood areas and replaced the carpet in the living room. Love the Crickey, not sure what it means, but it sounds so UK. My grandfather was born in Scotland, but that sounds more like London?? 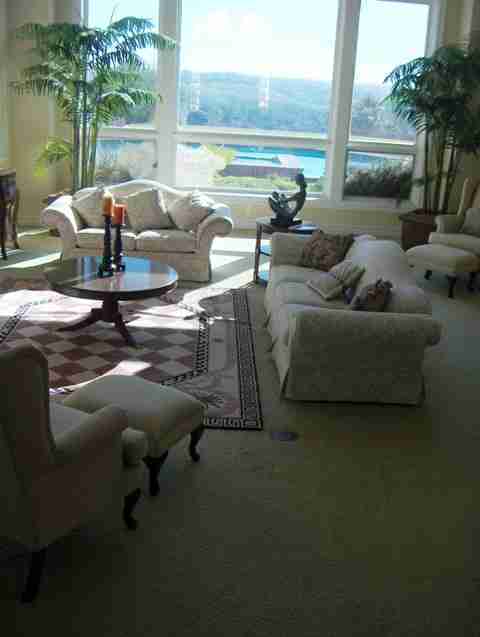 Yes nice table, they picked it up someplace in Asia like a lot of their other furnishings. Good thing they did not get damaged when they had a water leak in their home. What a beautiful wooden floor. 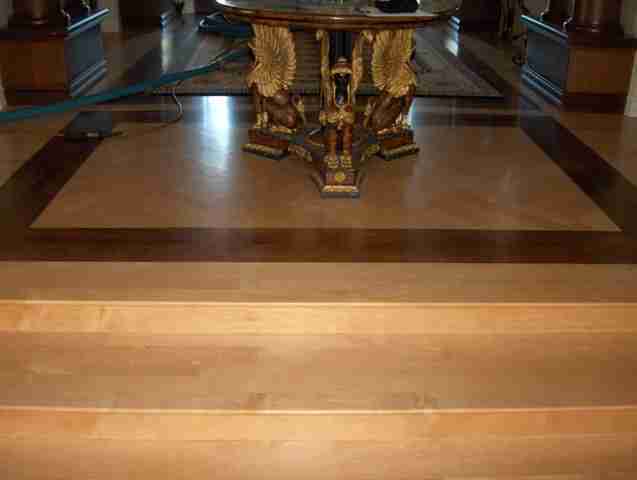 I have never really had the chance to refinish a panelled wood floor like that. 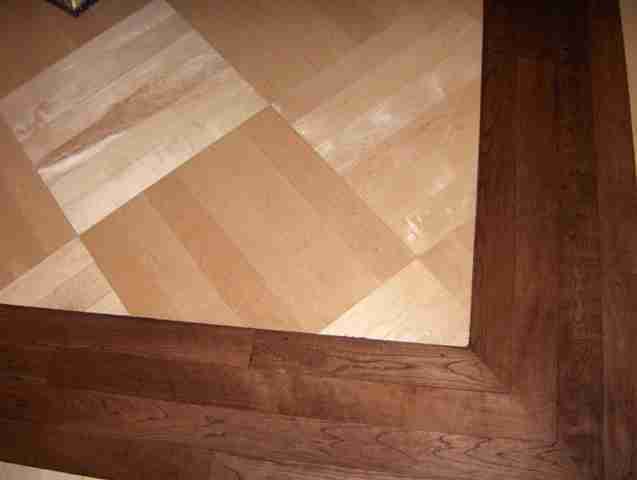 Most of the wood flooring we restore are standard herringbone parquet or pine floorboards. Hopefully one day I will get the chance to have a go at one of these. Great job and I look forward to seeing more of your projects. 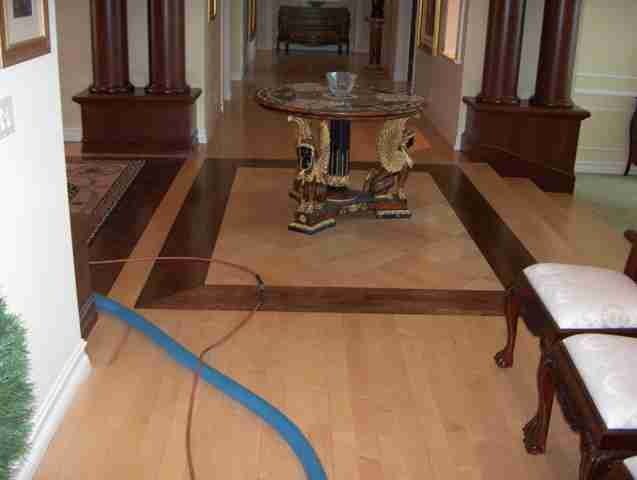 Yes, this was a very nice inset diagnol maple parquet pattern that was nearly destroyed by the water damage, but we were able to get in quick enough to assist in saving the project. Checked out your website, looks like you guys do great work too.